The Ultimate light weight cutting tool. A classic design featuring an ergonomic handle for ultimate comfort. Made in Japan from Authentic Japanese Hitachi ATS-314 Steel. An edge so sharp it will melt through the hair. Washi's anti-push edge technology makes this a perfect tool for slide cutting on wet or dry hair. Point cut with precision. Includes case and a Texture razor. 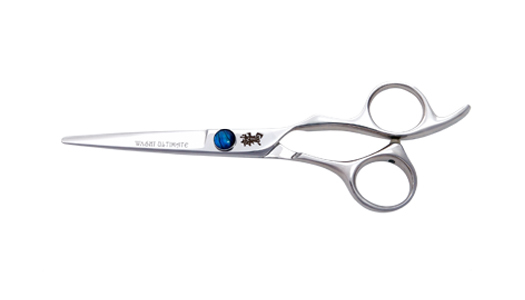 Shear Size: 5.5", 6.0", or 6.75"